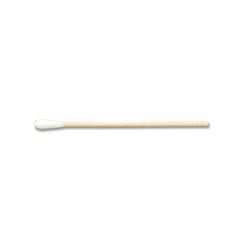 Sterile cotton tip on wooden handle. Overall length: 3 inches. Comes 2 per pack and 1000 per case. © 2019 Accutome Inc. All Rights Reserved. We enable the world's eye care community to efficiently manage their practices and deliver quality patient care by providing the most complete product line and knowledgeable support in the industry.